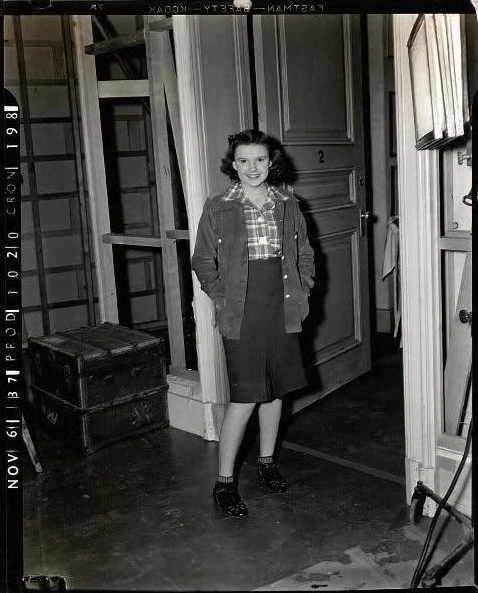 Judy Garland on the set of "Everybody Sing"
Turner Classic Movies plans to go all-out to celebrate Judy Garland’s 90th birthday with a 24-hour marathon, beginning Sunday, June 10 at 6 a.m. (EDT). Working with selections made by Emmy Award-winning Garland documentarian and author John Fricke, the cable television network has programmed eleven feature films, a documentary, and numerous short subjects for the event. Fricke will also appear on TCM for much of the Garland retrospective, discussing her career with host Robert Osborne. Between 12 noon (EDT) on June 10th through the 2 a.m. screening on June 11th, the duo will introduce six of the motion pictures as well as the documentary. * her final film, I Could Go On Singing (1963). Rounding out the Garland 90th birthday celebration is 1990’s The Wizard of Oz: Fifty Years of Magic. Hosted by Angela Lansbury, the Emmy Award-nominated documentary will precede the telecast of The Wizard of Oz. 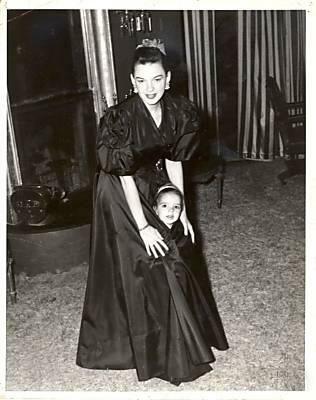 Check out The Judy Room’s Judy Garland Filmography for more details on Judy’s films. Note: As reported last November, the only other planned tribute (announced thus far) for Judy Garland’s 90th birthday is an all-day live broadcast by Radio France. Click here for details. I’m really excited! Judy Garland is my favorite actress/singer and I’m happy that they are celebrating her 90th birthday! She deserves to be remembered all these years later! I agree. Judy Garland is the number 1 entertainer of all time. I have 22 of her movies and her concert years. I never had a computer in 2012 and I missed the marathon. Wish I could have seen it. Thanks for sharing superb informations. Your web site is very cool. I’m impressed by the details that you on this website. It reveals how nicely you understand this subject. Bookmarked this web page, will come back for more articles. You, my friend, ROCK! I found just the information I already searched everywhere and just could not come across. What an ideal web site.